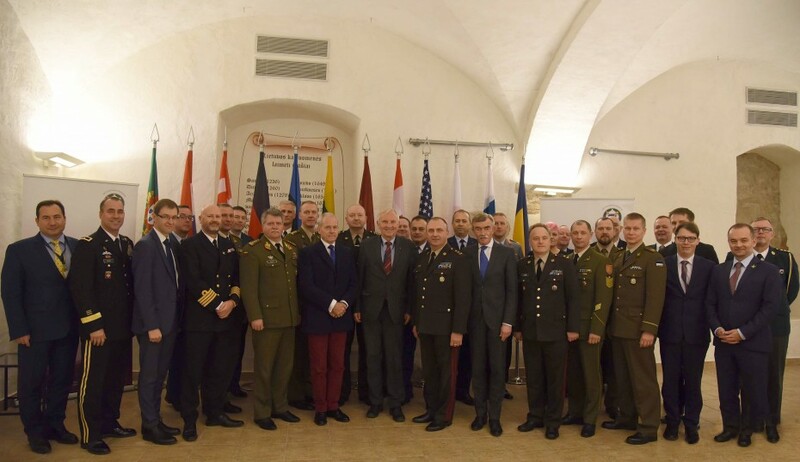 On 5th of December 2018, the Baltic Defence College (BALTDEFCOL) successfully concluded the Senior Leaders’ Course (SLC) 2018 “Back to the Nuclear Age?”. SLC 2018 took place from 28th of November to 5th of December in Vilnius, Lithuania. The concluding panel of SLC 2018 featured Gen (ret) Knud Bartels, former CMC NATO and Gen (ret) Klaus Wittmann, Senior Fellow at the Aspen Institute. The panel was moderated by Dr Karolis Aleksa, Director for International Relations and Operations Department at the Lithuanian Ministry of National Defence. The farewell remarks were delivered by MG Andis Dilāns, Commandant of Baltic Defence College and LTG Jonas Vytautas Žukas, Chief of Defence of Lithuania. SLC 2018 has been an intense week of discussions, exchanges and reflections around nuclear issues for flag officers and their civilian equivalents from 13 countries, from the Baltic region and beyond. The course unfolded panels concerning the main nuclear powers: US, Russia, France and UK. During the week, hotspot issues such as the Iran and North Korea nuclear crises were addressed. SLC participants also had the chance to discuss the wide implications of extended nuclear deterrence in the Alliance. They benefited from a diversified input from academics and officials alike in an inclusive approach. NATO will remain a nuclear alliance as long as nuclear weapons exist. The aim of the SLC 2018 was therefore to build bridges and connect professionals from the Alliance and beyond in order to help consolidate a nuclear strategic culture.